Infrared Micro Switch Leading in technology, we developed a LightSTrike Switch to allow you to have minimum of 0.2MS tactical response speed faster than other gaming competitors out there. Kill or Be Killed in gaming terms, in the world of gaming, each MS matters. HD High Performance Optics Engine With 5 multiple setting preset you can set for the dpi change, which these preset settings you can perform your actions with the speed that can follow up with you. Ultracore4 software activated Our Exclusive Ultra Core4 Bloody 5 gaming software, lets you perform all your actions with ease through our Macro settings, multiple actions can be performed in gameplay. 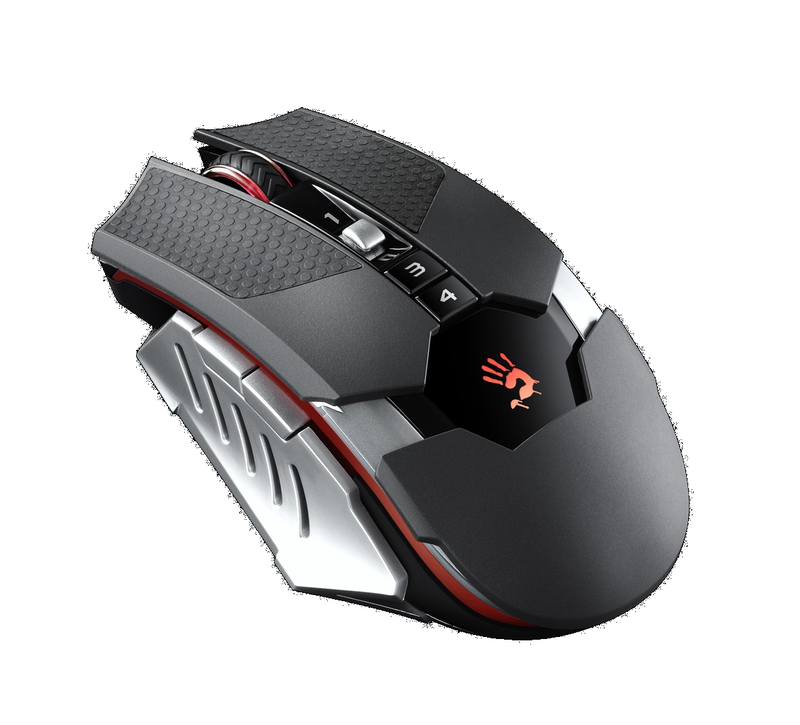 Infrared Scroll wheel With the technology we are capable of, not only the Clicks are enhanced but we also optimized the scroll wheel to perform with a faster response speed. Many of gamers love to give actions to their scroll wheels, so we figured why not give you faster response speed throughout the whole Gaming mouse.